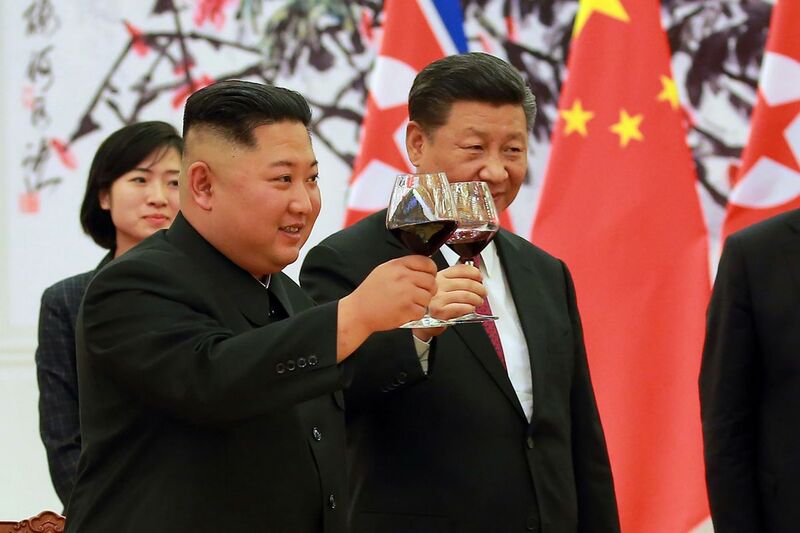 Kim Jong Un declared North Korea's unstinting "friendship, unity and co-operation" with Beijing during his third visit to China this year, in a show of loyalty to his main ally following a landmark summit with US President Donald Trump. The two-day visit which ends Wednesday is designed to reassure Beijing that Pyongyang will not neglect its interests as Trump and the young autocrat move into uncharted diplomatic terrain. The performance is part of a delicate balancing act for Kim, who analysts say is seeking to play US and Chinese interests off each other while maintaining good relations with Beijing, his economic patron and diplomatic protector. While China was not present at the June 12 summit in Singapore, it lent Kim a plane to travel to the city-state, a clear sign that it remains an influential force in the diplomatic shuffle. Kim chose Beijing for his first official foreign trip in March and met Xi again in April in the northeastern port city of Dalian. Kim's agenda for Wednesday was not made public. An AFP journalist saw a motorcade leaving the Diaoyutai guest house for foreign dignitaries in Beijing, but it was unclear where it was headed. During his meeting with Xi Tuesday, Kim thanked China for "positive and sincere support and good help for the successful" summit with Trump, according to North Korea's official KCNA news agency. 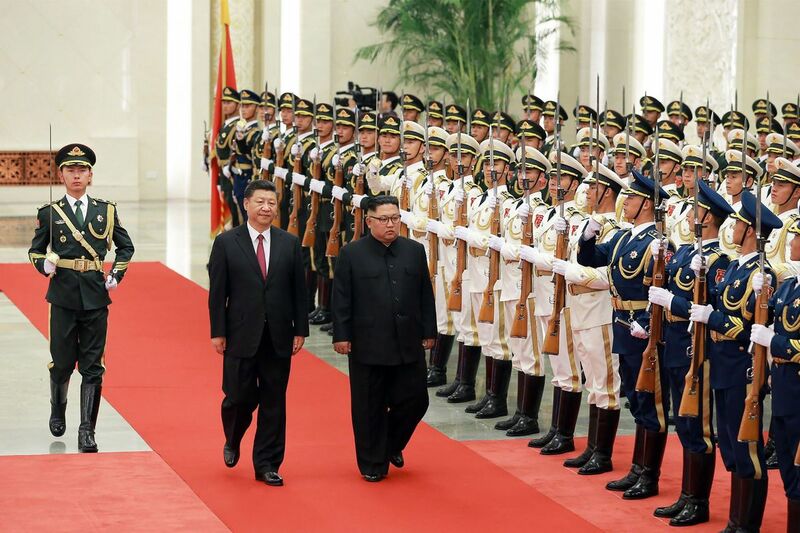 The North Korean leader, who was greeted by a military honour guard and cheering children at the Great Hall of the People Tuesday, said he valued the "recently strengthened strategic co-operation" between the two countries. "He expressed the determination and will to further develop the closer relations of friendship, unity and co-operation between the two parties and the two peoples of the DPRK and China," KCNA said. Kim also invoked the "prospect for the denuclearisation of the Korea Peninsula" following his meeting with Trump. For his part, Xi told Kim that China "speaks highly" of his summit with Trump and he urged Washington and Pyongyang to implement their agreement struck in Singapore. The official media of both countries did not say whether Kim and Xi discussed the prospect of easing UN sanctions that have crippled North Korea's economy, though analysts said it could have been part of the agenda. 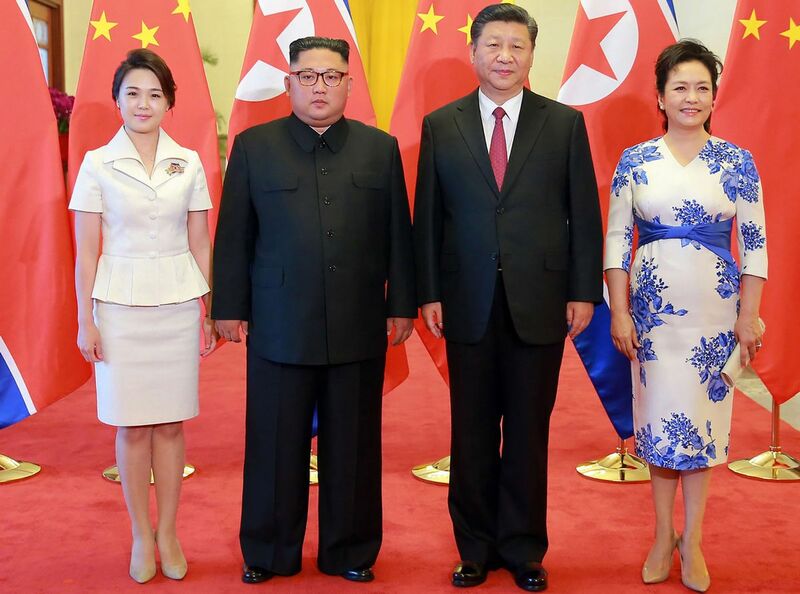 Shin Bum-cheol, a senior fellow at the Seoul-based Asan Institute for Policy Studies, said Kim and Xi were likely seeking "common ground" following the Singapore summit. For China, North Korea can serve as "an important card" as Beijing faces a potential trade war with the United States," Shin told AFP. "For the North, it can also show to the world, especially the US, that Beijing has Pyongyang's back if the North's ties with the US sour in the future," Shin said. North Korean officials have also visited China recently to learn about its economic reforms -- yet another sign of Pyongyang's reliance on Beijing for its economic well-being. "We are happy to see that the DPRK made a major decision to shift the focus to economic construction, and the development of the DPRK's socialist cause has entered a new stage in history," Xi told Kim, according to China's official Xinhua news agency.